Brands There are 336 products. Cristal Champagne is one of the prestige cuvees of Maison Louis Roederer. It was developed in 1976 by Louis Roederer for the Tsar of Russia Alexander II. At the time, the estate already exported 60% of its production to the Russian court. But the Tsar took offense to drink the exact same wine as his followers. That's why a new cuvee was created from the terroir's 10 finest wines. Crystal is now one of the world's most expensive Champagne. Founded in 1838 by William Deutz and Hubert Geldermann, Maison Champagne Deutz remained in the hands of the same family until 1993. Since then, the Rouzaud family (Champagne Louis Roederer) is the majority shareholder in the company and seeks to develop the domaine while preserving the Ruinard idendity. Dom Pérignon is a vintage cuvee of Champagne wine produced by Moët & Chandon during exceptional years. Symbol of prestige, Dom Perignon champagnes are found on the world's best restaurants. 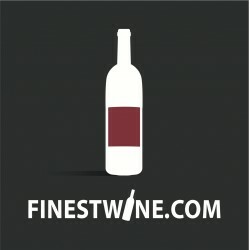 The famous wine appears also regularly in artistic works such as cinema and literature. Founded in 1843 by Joseph Krug, Krug is a famous winery House of Champagne located in Reims, Champagne-Ardenne. It was transmitted for six generations in the same family until 1999, when the company was taken over by the well known group LVMH. Krug is famous for its Grande Cuvee, an harmonious blend of fifty different wines from 1 to 15 years old, aged 6 years in the cellar. Founded in 1776, the Champagne House Louis Roederer has been owned by the same family since 1816. Owner of 240 hectares of vines located exclusively in Grands and Premiers Crus, it is one of the latest Champagne houses to be independent. Enjoying an excellent reputation around the world, the Louis Roederer champagne is exported to the United States and to the table of the Tsar in Russia since 1870. The Tsar is also the reason why Louis Roederer created a prestige cuvee in 1976 : crystal. Founded in 1729, Champagne Ruinart is the first and oldest of House of Champagne. It belongs now to the famous LVMH group. The main grape of Ruinart champagne is chardonnay, which brings aromatic freshness and brightness. Founded in 1734 by Jacques Fourneaux, Taittinger is a famous winery House of Champagne located in Reims, Champagne-Ardenne. Its 288 hectares of vineyard covers 50% of its needs. The remaining 50% are carefully selected from independent vine growers and some cooperatives. Taittinger offers several cuvee. The most prestigious one, Comtes de Champagne is only produced in the best years. Founded in 1772, Veuve Clicquot is a famous winery House of Champagne located in Reims, Champagne-Ardenne. Owned by the LVMH group since 1987, it stands as a model by its commitment to reasoned vine growing. Veuve Clicquot presents an impressive consistency in the quality of its champagnes and has also distinguished itself by its quite singular marketing campaigns. And because there are many other brands of Champagne that deserve your attention, you will find in this section all our selection of champagnes Please use the filters to refine your search results.